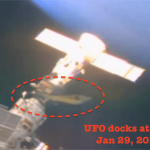 GOOGLE EARTH REVEALS STRANGE ANTARCTIC ENTRANCES – EVIDENCE OF SECRET UFO BASES? On Google Earth one can find two large entrances that extend below the Antarctic surface and ice near the coastline. For some observers, they are natural caverns formed over time by the intense Antarctic weather conditions. 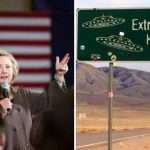 Not so according to Scott Waring owner of the popular UFO Sightings blog. 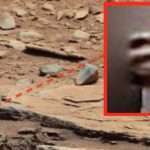 In a post, Waring claimed that they might be entrances to an alien base or a secret facility of some kind. He highlighted a video containing close-ups of the two large entrances. In the video, there is also an image of what Waring believes to be a huge saucer shaped object buried under melting ice near Antarctica. While there is no Google Earth image available of the mysterious buried UFO, the cave/base entrances are available for independent analysis. 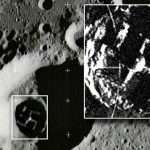 If the latter are indeed entrances to underground bases, then it would appear that claims that UFOs have bases in Antarctica, and may have even helped fleeing World War II Nazis escape a punitive U.S. Naval expedition, are not so far-fetched after all. Let’s begin by examining the two large entrances discovered on Google Earth which are highlighted in a Youtube video uploaded on June 8 by Stephen Hannard showing various angles of the entrances. These entrances are available for independent confirmation at the following Google Earth coordinates (-66° 36′ 12.58″, +99° 43′ 12.72″ and -66° 36′ 12.58″, +99° 43′ 12.72″) They show entrances into the rocky underground. The first is approximately 30 meters high and 90 meters across. 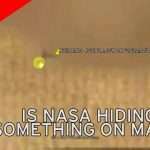 The video also shows a UFO allegedly found by Google Earth, but it is claimed that the image was removed and is no longer available. 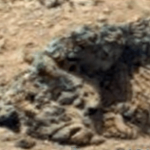 Very interesting and intriguing images from Google Earth, which seem to show two possible entrances to an alien base or at least an entrance to something, and a huge saucer shaped object buried in the ice. 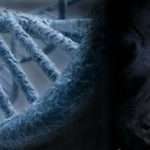 If there are Alien bases in the Antarctic it would follow that there are ET craft their also. 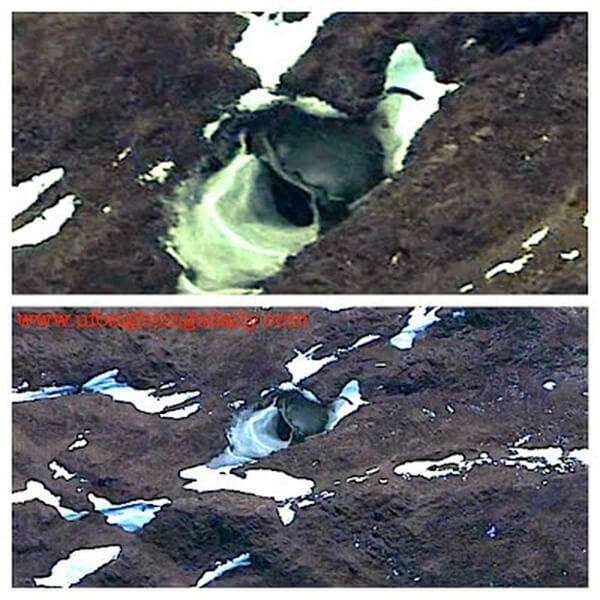 Waring’s comments appear to accept a connection between the two large entrances and the alleged crashed UFO found in melting ice on South Sandwich Islands. 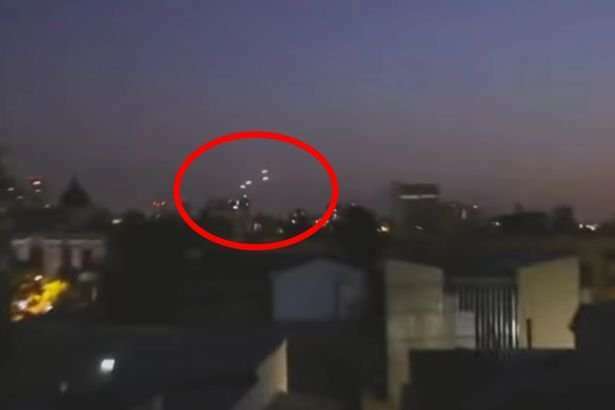 The video shows no obvious connection other than all were allegedly discovered using Google Earth – the UFO, as mentioned earlier, is no longer available for independent confirmation. There is no independent confirmation that the UFO is genuine. UNBELIEVABLE!!! 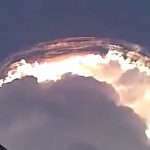 Very STRANGE Unidentified Phenomenon Captured on Film! UFO? yep, its really there. Didn’t the Germans have bases on the Antartic back when?